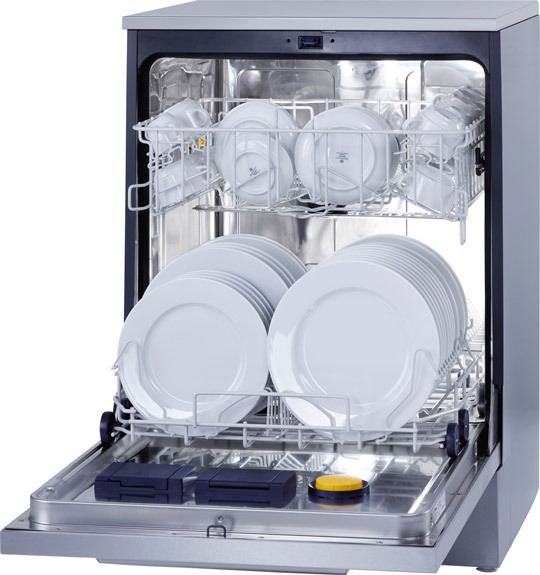 The new generation of professional dishwashers The world’s fastest fresh water commercial dishwashers provide impeccable cleaning results, unmatched performance, and user friendliness. 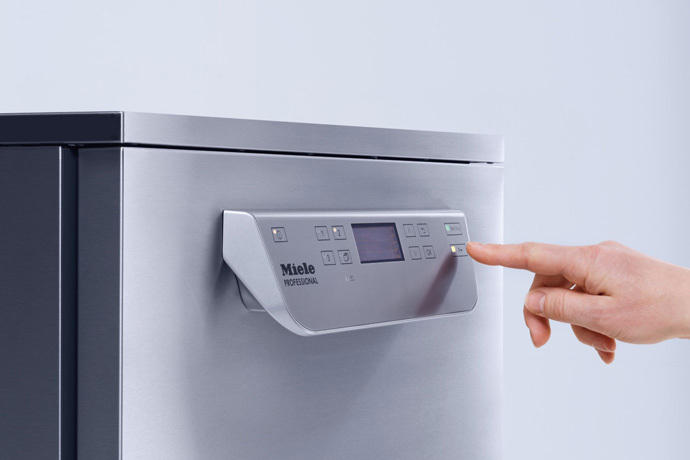 Miele’s new dishwashers can run up to 40 cycles per day and can accommodate a large variety of baskets and inserts, including commercial plastic baskets. The PG 8056 and PG 8061 are equipped with an innovative, high-performance circulation pump and new spray arm design for even better cleaning results and reduced water consumption. 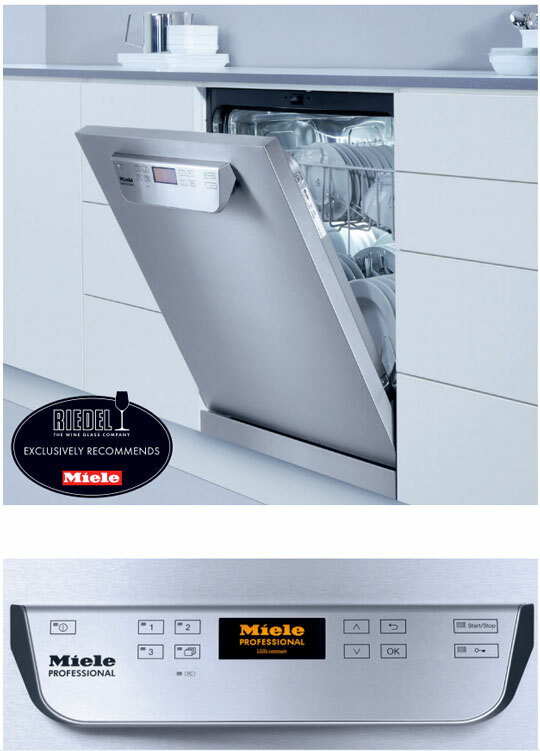 Both models are exclusively recommended by Riedel and are ADA compliant. 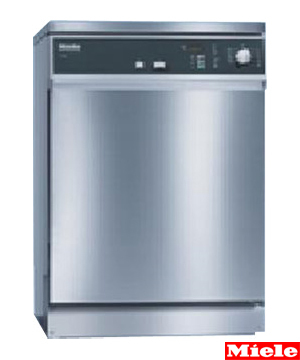 The PG 8056 is ideal for homes, butler’s pantries and offices while the PG 8061, with its final rinse temperature of 185° F, is ideal for applications requiring sanitization including wineries, nursing homes, inns, community kitchens, restaurants, schools and other businesses. 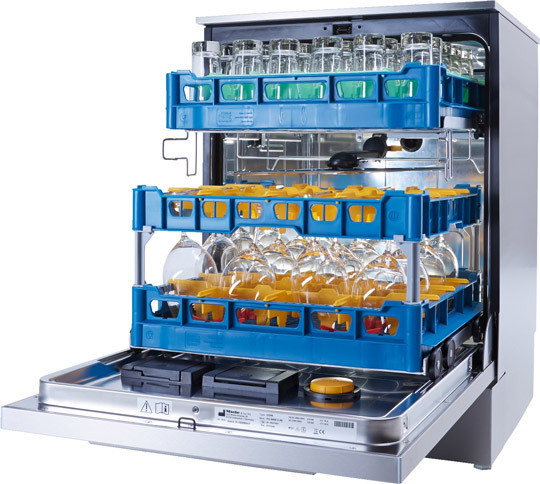 • Fastest cycle time as short as 6 minutes • Large capacity and multi-level cleaning for high throughput • Low noise emission - 59 db or less • Special programs and cycles e.g. 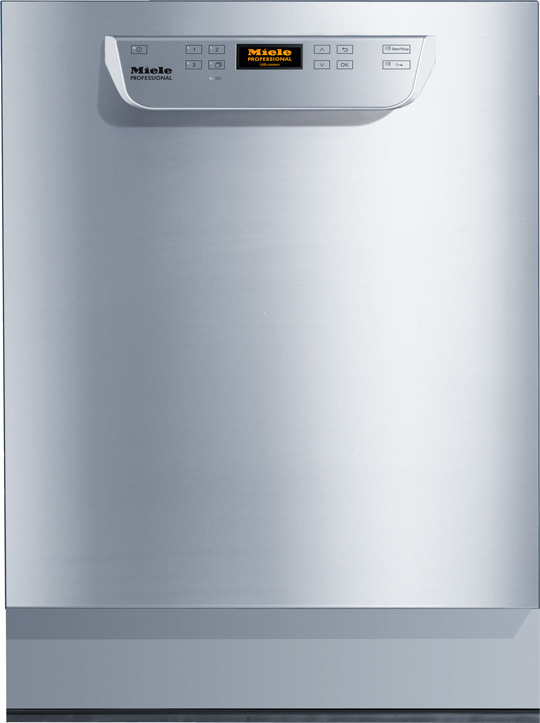 China & Crystal • Built-in water softener Designed to last The PG 8056 and PG 8061 fresh water dishwashers are designed to last at least 15,000 operating hours. 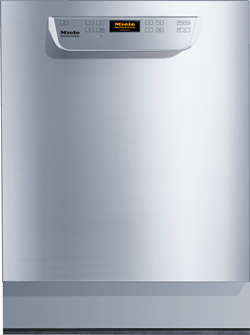 If used 6 times a day, 6 days a week, the unit will last for more than 13 years.